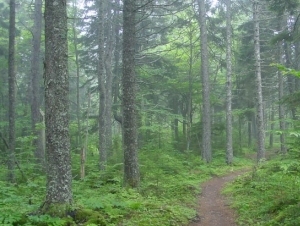 Forest area is stable to growing in North America. The key causes of deforestation are not forestry, but rather agriculture, urbanization, hydro and other industrial development. March 27, 2019 - Two Sides North America recently released a fact sheet outlining key facts and figures about the environmental sustainability of the North American pulp and paper industry. The information was compiled from over twenty different reports, studies, and sources. Paper recovery rates in North America continue to be among the highest in the world. At 66% - 70% recovery rate, in the U.S. and Canada respectively, the amount of paper being recycled continues to increase. These rates are significantly higher than other materials and products such as glass, plastic, metals, and electronics. Click here to download and read the entire Fact Sheet (3-page PDF). Two Sides is an independent, nonprofit organization created to promote the sustainability of print and paper. Two Sides is active globally in North America, Europe, Australia, South Africa, and Brazil. To learn more, please visit: www.twosidesna.org.